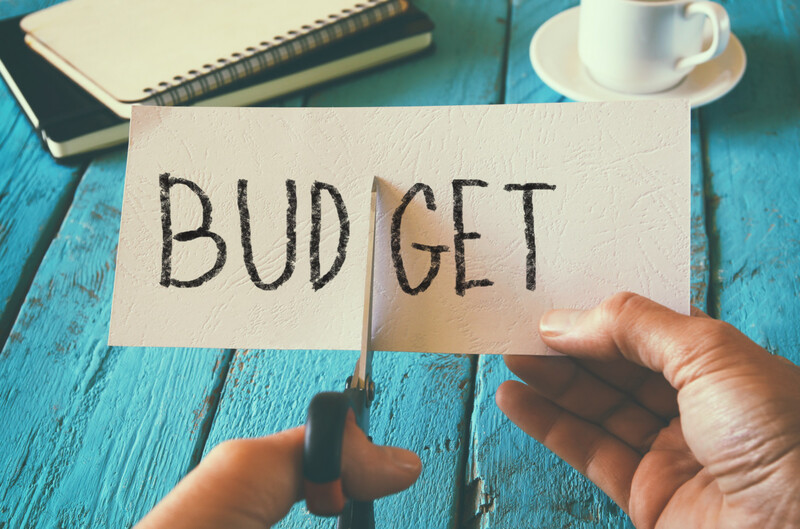 An extreme budget challenge can push you out of your usual spending habits and help you reassess your lifestyle. Easy tips on saving money. Advice from a professional businessman who has helped thousands of UAE residents get out of debt and get into the saving habit. A magic formula to financially secure your future. Dubai: Wife, husband and a nine-month old girl. That was my experimental subject for a month. That is also my family. As a working couple in the UAE, my husband and I are caught up in the same routine that probably affects many couples in the UAE: Wake up just in time to rush to work in the morning, focus on the day’s work with a constant thought in the back of your mind on how your baby might be doing, and after negotiating evening traffic come back home to spend precious end-of-day hours with your loved ones. Sleep, wake up, repeat. Then, one fine day, during an editorial meeting, you come up with a quirky idea - can a person live on an extreme budget? Say Dh1,500 a month? Turns out your editors are a lot more adventurous than you have the stomach for ... why not make it for your entire family? This is how this story and experiment started. Walking out of that editorial meeting, I had a sinking feeling that I had walked myself into a good mess. As someone who is a self-proclaimed recovering shopaholic, this seemed near impossible. One month later, I can confidently say, living on an extreme budget is less scary than you think. Such a challenge forces you to re-evaluate your lifestyle and go through your expenses with a fine-toothed comb. Where is the biggest part of your salary going? Which expense is necessary and which is a luxury? You can’t get away from paying your rent, electricity bill and transport costs. However, that leaves a whole lot of expenses that are optional, which you can work on cutting down. First thing I did when I started my experiment was to rummage through the refrigerator to figure out what needs to be thrown out, what needs to be consumed immediately and what can be used in the near future. The same goes with clothes, shoes and accessories – how often do you end up buying more clothes while many are left unused? The extreme challenge meant that leisurely shopping trips came to a grinding halt and we, as a family, rediscovered what we already owned and started using them much more. At work, trips to the canteen for a quick tea (Dh1.50) would often lead to a spend of Dh5-Dh10 depending on how impulsive or hungry I was at that point in time and the snacks I bought additionally. The first step I took was ending the canteen trips and stocking up on tea bags, milk and sugar along with various snack options. The cost of tea during work hours alone came down in a month, from Dh66 to Dh25. Snacks were a bigger reduction in cost. My all-time favourite chocolate bar costs Dh3.75 from the office canteen. 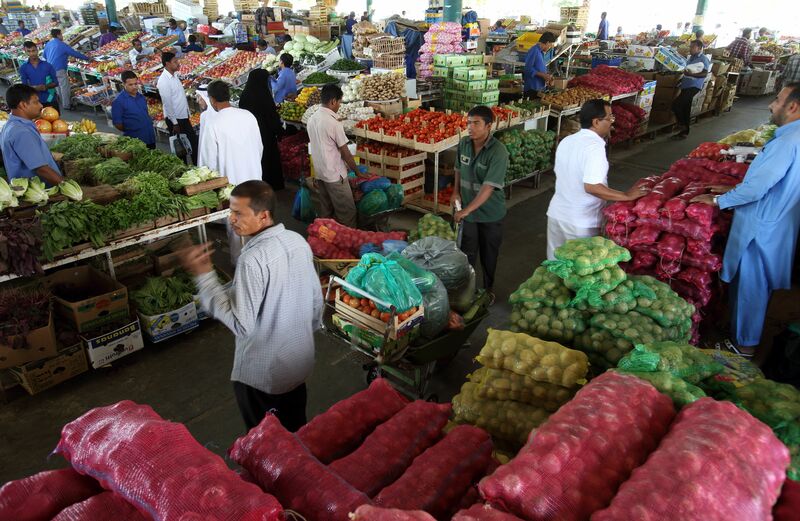 Buying a packet of six from a hypermarket brings the price down to Dh2.50 per piece. Add to that nuts and dry fruits that you can stock up on during your trip to the hypermarket and you won’t fall off the wagon because you deprived yourself when you had that late afternoon snack craving. Breakfast was another game changer for me. As someone who believes in catching the most sleep and waking up only until I have enough time left to shower, dress and dash, I needed a breakfast option that would fit the budget. Picking up my regular breakfast was coming up to Dh10 on a good day. If I stopped at a coffee shop at a petrol station, that bill would go up to Dh30. However, there was a hidden gem on my way to work, which I discovered when on the hunt for bargain breakfasts. The cafeteria in my neighbourhood sold an omlette roll for Dh3 (take it in a regular bread roll, or if you want something more filling, ask them to make it in a porotta) and fantastic karak chai for Dh1. This is the price offered by many cafeterias in the UAE. Take your mug along and ask them for two chais in one cup and for Dh5 you are set for the morning! The biggest change that took place during the month was the shift from impulsive shopping to more conscious, planned purchases. The first step we took was to put an end to eating out. Even if we did happen to be outdoors and had to have dinner at a restaurant, we hunted for the cheapest restaurant. Thanks to the quality control in Dubai, that still meant we ate food that was hygienically prepared, so there was no compromise on health. An important part of this was towards cooking at home. 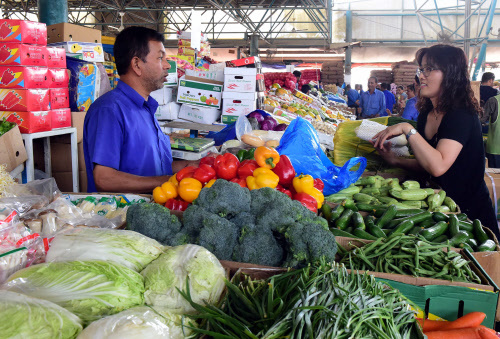 For bigger families, going to the city’s fruit and vegetable market might make sense. 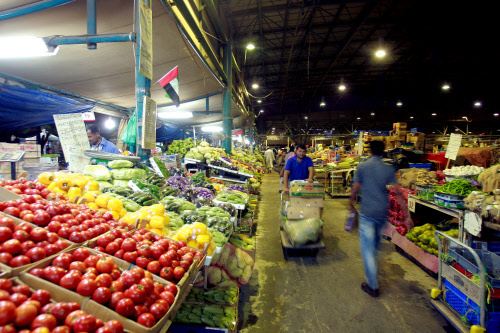 The market offers excellent price for fresh produce, especially if you buy in big quantities. For a family of two adults and a child, however, bulk purchases did not make sense. So, we decided to purchase fresh groceries each week from the hypermarket in the neighbourhood, with a rough idea on what needed to be cooked during the week. Weekends became cooking days, with a few of the dishes cooked for the week. On days that we wanted something fresh, we went for simple comfort food like rice, lentil and spicy salsa. At work, I would eat out almost every other day. My husband, who is a lot more thrifty, would spend a lot less on lunch. An average lunch outside can cost anywhere between Dh40-Dh80. This, I realised, was causing the biggest spike in my monthly expenses. On average, eating out 15 days in a month would mean a total expense of over Dh1,300. Not only was I spending a lot more eating out, we as a family were also wasting a lot of food because of not consuming consciously. By not eating out, not only did I save a ton of money, I also ate more healthily and consciously. There are items that I only shop for online, especially baby-related ones. Diapers can be a big expense and online stores give you an option to buy in bulk and with the particular brand I get for my little one, the cost came down by 30 per cent. The same applies for baby wipes or even baby food. Then there were expenses that I could cut down on if I wanted to, but that would come at the cost of spending less time with my family. For example, I could find alternative routes to avoid toll gates. However, that would add an hour to my round trip. When I weighed the Dh8 I spent during a day and the hour I got to spend at home, it really made more sense to choose the latter. The idea is to shift towards being more conscious with your spending, so what might be an avoidable expense for someone else is not for you. The same applied to getting househelp to clean up and give clothes to the laundry. Sure, you could iron all your clothes and clean up, I've done it for most of my life. However, looking at my schedule now, it makes more sense to save that time for my daughter instead. While we are programmed to think that a night out with family and friends cannot be over without spending some money, there are several ways in which you could enjoy yourself for free. An evening at the beach, an early morning park visit or simply visiting the latest attraction in your city can all be done without the need to spend any money. Just plan in advance and to steer clear of the spending traps you normally fall in. Get peckish on long drives? Make sandwiches for the trip. Love stopping at cafes for a quick coffee? Shift your trip to after dinner time so that you are full and not making decisions on an empty stomach. And now for the big reveal - did I really spend the month on Dh1,500? The short answer: No, I ended up spending Dh2,800. While that might sound extremely underwhelming, here’s the catch: this was my second attempt at the experiment. Any guesses on how much I spent the first time I (unsuccessfully) tried to do the Dh1,500 challenge? Dh7,500. Now, that’s a face palm moment if there was one! So, from indiscriminately spending throughout the month to reigning in my budget by almost 40 per cent, the change was dramatic, for me at least. And the Dh7,500 month was one in which I was keeping a tab on every tiny expense. I cannot imagine how much more I've been spending otherwise! The takeaway, then, is this - the UAE is a great place to live and we pay a lot for little conveniences. I would encourage everyone to take on an extreme budget challenge. If not Dh1,500 then more. Or less. Pick an amount that sounds impossible enough to push you out of your comfort zone. The results might surprise you. One of the first realisations I had when I was struggling with fitting my budget into Dh1,500 was this - so many people live on that salary. Some even less. Sharjah-based businessman K. V. Shamsudheen has made a passion out of helping workers in the UAE develop the habit of saving. 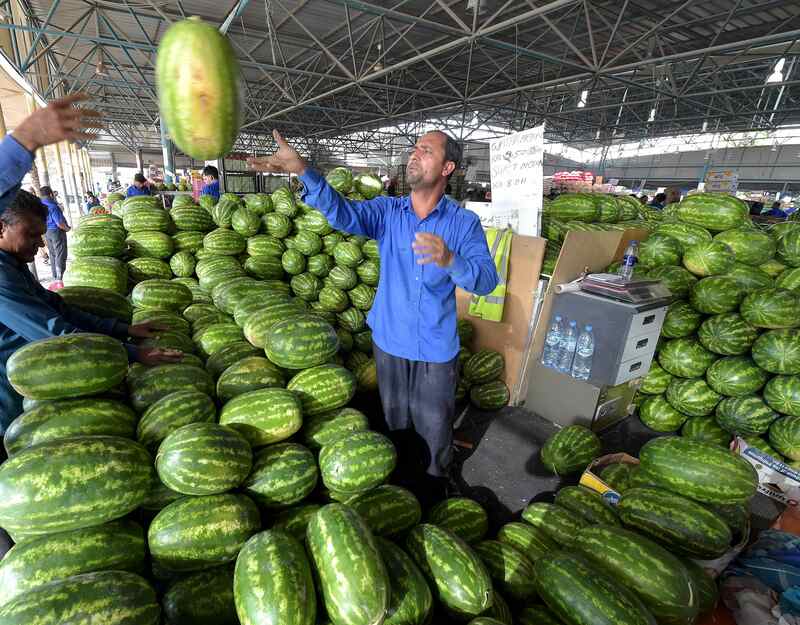 He has been conducting workshops with workers who earn Dh2,000 or less for the past 18 years. ‘No matter how much you earn, anyone can save’ appears to be his mantra. After you moved to the UAE or the Gulf, did your family’s lifestyle improve? When you return home, will you be in a position to maintain the same lifestyle? Have you seen people return home without enough financial resources, now struggling at home? While 99 per cent of the attendees say ‘yes’ to the first question, the answer to the second question is quite often a ‘no’. It is the third question, that really hits home, according to Shamsudheen. Take out your savings at the start of the month instead of waiting for what you are left with at the end. “When they say yes to the third question, they realise that they haven’t really saved for themselves and then they stay for the three-hour long workshop with the same interest that they would for a three-hour film at the theatre,” he said. The rule of thumb Shamsudheen advises people is this: Take out your savings at the start of the month instead of waiting for what you are left with at the end. By saving before spending, there is a greater chance of being successful. As for how much one needs to save, regardless of how much you earn, Shamsudheen offers this breakdown: 30 per cent of your monthly income should be saved for the future, 30 per cent for everyday expenses or a family budget and 30 per cent for building a home for your future, or your children’s future education. When you are left with 10 per cent, keep half of that for entertainment and half for a long term insurance. 30 per cent of your monthly income should be saved for the future, 30 per cent for everyday expenses or a family budget and 30 per cent for building a home for your future, or your children’s future education. When you are left with 10 per cent, keep half of that for entertainment and half for a long term insurance. “Even the first 30 per cent needs to be converted to an investment,” he added. Once this formula is shared, during the workshops, Shamsudheen also educates the workers on the various options for investment in the country and in India. Starting a family budget also plays a big role in changing habits. As a person develops the habit of putting these expenses in certain categories, he or she can start skipping the excessive purchases. There are expenses that people don’t have as much control over - rent and education. 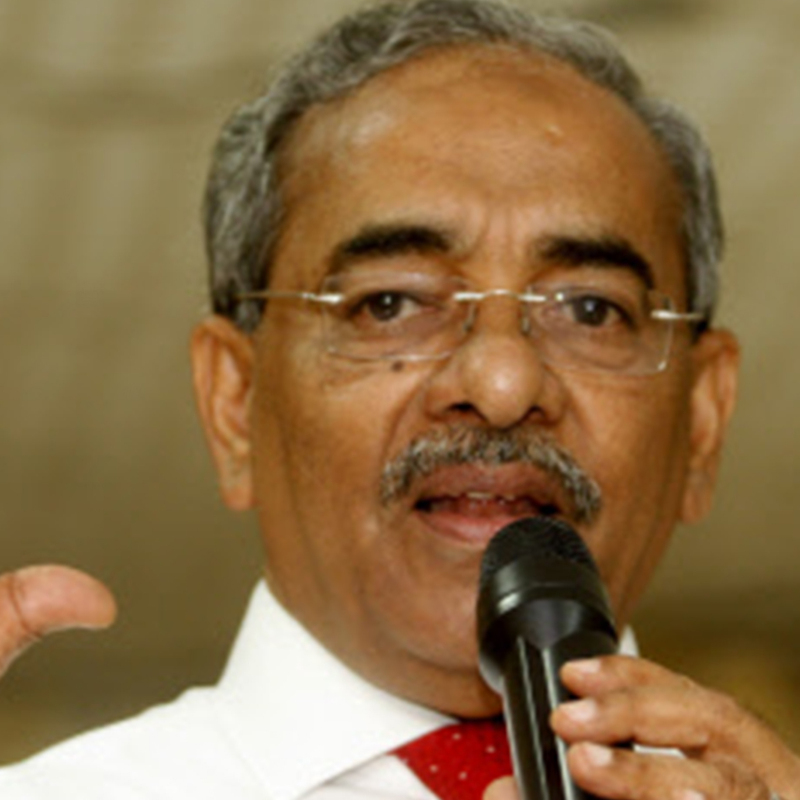 However, Shamsudheen says that those too can be adjusted to a certain extent. “Perhaps, shift to an accomodation that is cheaper. Similarly, if your children are studying in a school with high fees, to control your expenditure find a school with reasonable fees and a good quality of education. There are options. “In my experience, this formula is extremely easy for anyone to follow. All segments and income categories can do this perfectly,” he said.